Our Meeting for Worship takes place at 10:00 every First Day (Sunday) morning. 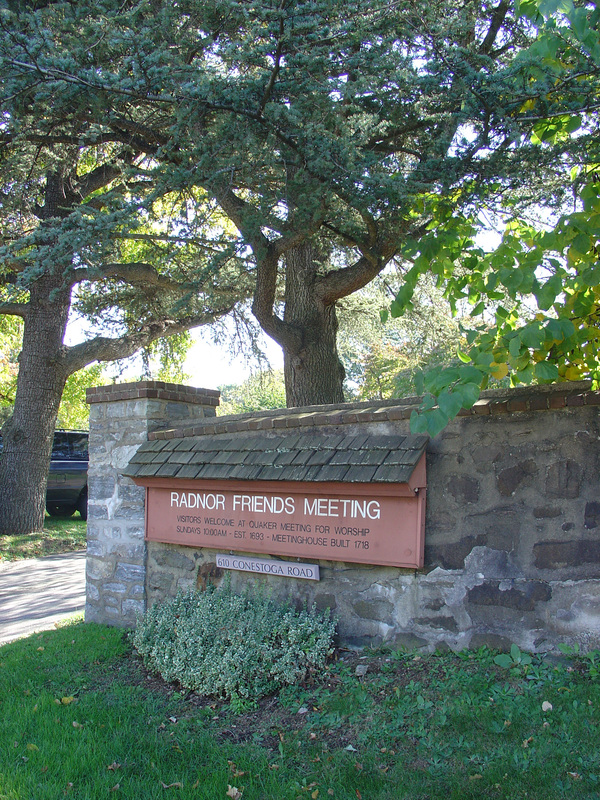 Radnor Friends Meeting is an unprogrammed meeting, meaning that the worship service centers on an expectant silence. The basis for this is the Quaker belief that each person has the capacity to know directly the will of God, without the interpretation of an intermediary. The goal of our corporate worship is to enter the divine presence. The silence may be broken when a worshipper feels moved to rise and speak out of spiritual experience. Silence follows messages as Friends reflect on what has been said. Often other messages follow the first. It is possible, and quite acceptable, for a meeting to pass entirely in silence, but messages from the Spirit, through Friends, are the most tangible part of our worship together. The meeting ends at approximately 10:50 when a designated person on the facing bench shakes the hand of a neighbor; all present then shake hands with their neighbors. It is our custom for the person breaking meeting to ask for first-time visitors, or those who have been away from the meeting for a long time, to rise and introduce themselves, or be introduced. Then meeting announcements are given. After announcements, Meeting for Worship is over and everyone in attendance is invited to stay for refreshments and socializing. Please feel free to ask any questions you have to the Friends who break meeting (shake hands) after Meeting for Worship. Immediately following Meeting for Worship, everyone is invited and encouraged to enjoy light refreshments together. 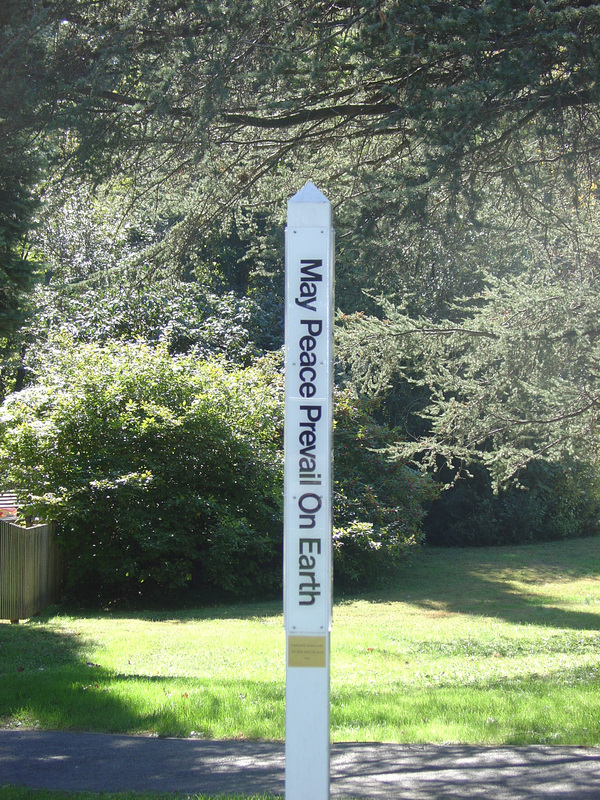 This time is when any questions about Quaker worship or Radnor Meeting can be answered by members of the meeting. We ask our visitors to sign the guest book; we enjoy having a record of where our visitors come from. You can also pick up a copy of the newsletter, which is a good way to get a sense of the activities of the meeting beyond Meeting for Worship. On occasional first and fourth First Days of every month, a Forum follows Meeting for Worship at about 11:15. Topics cover a broad range and include formal presentations as well as informal discussions, each one led by meeting members and attenders or by invited speakers. On the third Sunday of each month, the Outreach/Fellowship Committee hosts a simple lunch after Meeting for Worship. Everyone in attendance is warmly invited to take this opportunity to gather together for fellowship. Christmas Eve Carol Singalong – All Welcome!